In addition to the right accessories and style, a long flight also means the right preparation for your face. Aside from elements like lower humidity levels and recycled air, once your plane reaches it’s flying altitude, the onset of dehydration sets in. Case in point: ever wonder why those two glasses of champagne sometime feel like four? Yup – you are feeling the effects of being high in the sky! Great for every day use as well, and it’s 1.7oz size makes it travel ready anytime. An intense formula which is also perfect for combatting winter winds and chills on the face. The perfect product for extremely long flights or flight days that doesn’t leave you feeling greasy. A good moisturizer for those quick flights to your nearest tropical destination that you can also use for protection while having fun in the sun. 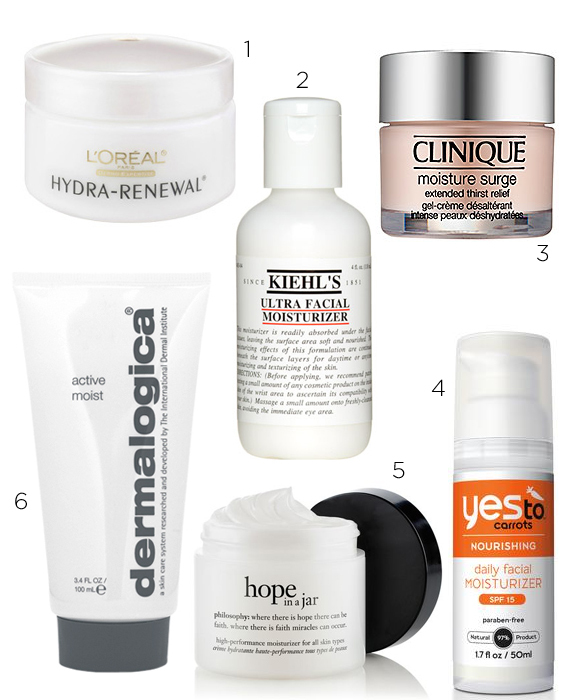 Another great daily moisturizer that you can also use in the air. Perfect for oily skin types. An ideal formula for flying. Lightweight and oil-free, but heavy when it comes to moisture. It’s no wonder why American Airlines includes this in their premier cabin amenity kits.